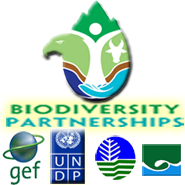 What is Biodiversity Partnerships Project? SURIGAO DEL NORTE, May 8 (PIA) – Representatives from the eight-member municipalities of the Lake Mainit Development Alliance (LMDA) have completed the five-day training on Biodiversity Monitoring System (BMS) Enhancement held recently at Kasili Lakeside Resort, Mainit, this province. Surigao City, February 18 – During the 6th LMDA Expanded Technical Working Group (ETWG) meeting held on Monday at Philippine Gateway Hotel, this city, the Lake Mainit Development Alliance (LMDA) recently revealed accomplishments on its Partnerships for Biodiversity Conservation: Mainstreaming in Local Agricultural Landscapes otherwise known as Biodiversity Partnerships Project (BPP) second year implementation. Surigao City, February 18 – The Biodiversity Partnerships Project (BPP) through the MS-Center for Optimal Research and Development (MS-CORD) who recently conducted Biological Assessment in Lake Mainit Key Biodiversity Area in four Agusan del Norte municipalities presented the result of their assessment to members of the LMDA Expanded Technical Working Group (ETWG) during the 6th LMDA Expanded Technical Working Group (ETWG) meeting at Philippine Gateway Hotel, this city. The biological assessment conducted to four sampling areas specifically Barangay Pangaylan in Santiago, Barangay La Fraternidad in Tubay, Barangay Sangay in Kitcharao, Barangay San Pablo in Jabonga, all in province of Agusan del Norte.